Thank you to President Deidre Woods-Walton and the National Black Nurses Association for their endorsement of HR 3679, The National Nurse Act of 2011 . The following is the letter of support sent to Representative Emanuel Cleaver, II who chairs the Congressional Black Caucus. 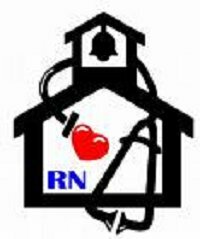 As a professional nursing organization representing more than 150,000 African American registered, licensed vocational/practical nurses, nursing students and retired nurses throughout the United States, the National Black Nurses Association (NBNA) is pleased to announce its support for HR 3679, National Nurse Act of 2011 1. Since its inception, improving the health of African Americans through the provision of culturally competent, community-based programs has been the cornerstone of our organization. 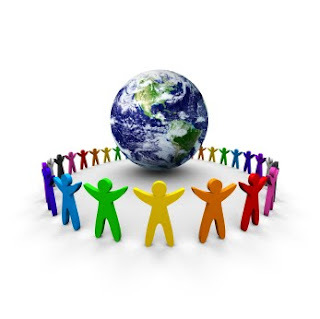 NBNA members continue to be proven leaders in their respective communities in the delivery of health promotion and disease prevention programs and public health education programs. HR 3679 , introduced by Congresswoman Eddie Bernice Johnson (D-TX) and co-led by Congressman Peter King (R-NY) , designates the Chief Nurse Officer of the U.S. Public Health Service to be known as the National Nurse for Public Health. This unique title will provide the authority, the impetus, and the recognition needed to capture the public's attention, encourage prevention, and raise awareness of health promotion efforts. This highly skilled and educated nurse will work alongside the U.S. Surgeon General to advocate for enhanced prevention efforts across the country. Chronic, preventable conditions have costly consequences both in health care dollars and morbidity and are especially prevalent in our nation's under-served communities. During this time of economic uncertainty, now more than ever, nurses must continue to be proactive in the fight against illness and disease. HR 3679 helps to keep nursing in the forefront by asking the National Nurse for Public Health to be a visible presence and work to engage nurses and other health professionals to replicate successful health promotion programs in their local communities. The NBNA supports establishment of a National Nurse for Public Health because we believe that nurses, as the largest and most trusted sector of the healthcare workforce, are well positioned to make important strides in keeping Americans well. We eagerly add the voice of the NBNA to this effort to help bring this important legislation to fruition. School nurses are essential in helping to keep our children safe and well. Often they are the first to recognize health problems in our kids, both benign and serious. School nurses screen youngsters for hearing and vision deficits, but they also care for children with serious chronic conditions such as Type 2 diabetes, cerebral palsy, and asthma. They connect students to substance-abuse treatment, mental and behavioral health services and so much more. Yet with all the complex conditions school nurses confront each day, there are fewer and fewer of them. Please contact your US Representative and Senators today. Urge that they support this critical piece of legislation that will work towards ensuring that all students’ health needs are addressed. Thank you to the MammaCare Organization for their recent endorsement of HR 3679 The National Nurse Act of 2011. The MammaCare Organization recommendations remain the most published and best practice standard for manual breast examination. "I feel compelled to write this letter in support of HR 3679 because its passage advances the role of nurses, the most benevolent and effective public heath resource in America. America’s nurses have become the primary practitioners of skilled, competent, clinical breast examinations. MammaCare research and training provided the national quality standards that needed to be adopted. Nurses have taken the time to learn and practice them. Our work at MammaCare provides compelling evidence of the commitment by corps of nurses who, with little regard for gain or profit, deliver competent heath care to millions of our citizens. MammaCare can testify that every day literally thousands of US women receive proficient clinical breast examinations (CBE's) performed by trained hands belonging to RN's."